Polished: OPI Swimsuit... Nailed It! 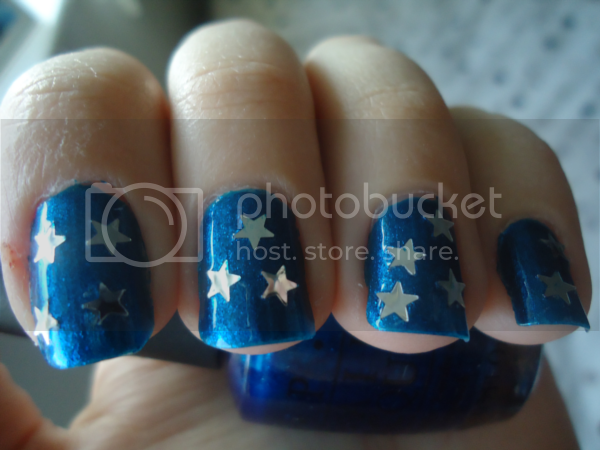 I wore this manicure a while ago on my birthday (28 December, in case you're wondering!) but forgot to post it sooner. I did two coats of OPI Swimsuit... Nailed It! from last year's Miss Universe Collection. It's a gorgeous, bright blue foil. Blue nail polishes make me happy, and this one makes me happier than most. 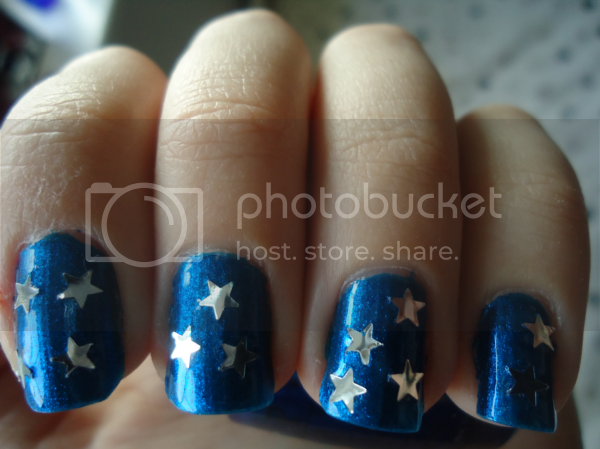 To bling it up a bit, while the polish was still wet I stuck on some silver stars from a Frontcover nail art kit. Yup, it's a stainer. I knew this before I painted my nails, but I thought hoped that because I used OPI Natural Nail Base Coat first that I might get away with it. Apparently not. 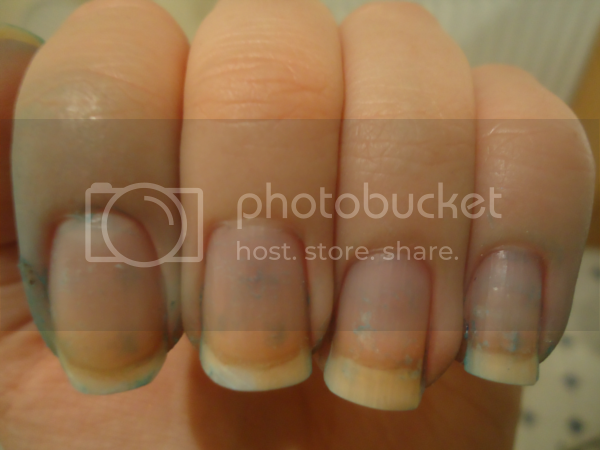 A month and a half later my nails still have a bit of blue on the tips!